'Tis the Season to be Jolly! How quickly this time of year has rolled around?! I swear it gets faster and faster as I get older! 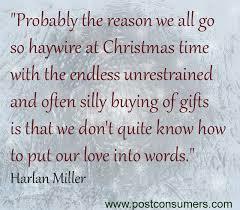 Now is the time many of us start thinking of the perfect gifts to give. Often we know just the things to get for family, and the token gifts to give to acquaintances and teachers etc… but the people we get stumped with most often, are our friends. Ironically, sometimes the closer we are, the harder we find it to buy just the right thing for them. While jewelry and perfume are always good back up options, especially if your friend has a passion for these things, it is best to think about your friend and the things she enjoys the most. This isn’t a post about ideas to buy your friend. After all, I don’t even know her. 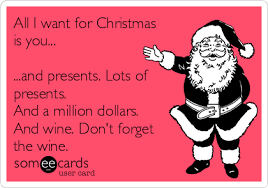 I did however write this post last year “Five meaningful gift ideas for your female friends this festive season” which you may want to peruse. I wanted to share something I noticed about my mother’s gift giving style which I resented, but noticed I am also guilty of similar things, albeit in different ways. My mother doesn’t like to waste money on junk. When she buys you a gift she prefers that it meets a need and is useful. She would rather buy you a vacuum cleaner than walking shoes, but would also rather buy you walking shoes than perfume. That said, she would rather buy you perfume than buy you something frivolous like a toy, if you happen to like toys for example. I mention that because my brother, who is older than me by 6 years still loves his toys and superheros. He loves transformers and robots and scifi movies. However my mother insists on buying him things like a leaf blower or an electric drill. Because those are the things she values. I dislike this and have said to her many times “Why not buy him something he actually wants instead of something he needs.” Ever practical, she reminds me than needs surpass wants in this responsible adult lifestyle to which we all conform. Sigh. I have long ago accepted mum’s preference, and in fact hugely appreciate the ever sought after Kmart vacuum that she went to great lengths to secure, that was then gifted to us early because the old one ate itself or something. Lol My point is that I didn’t want to be like that. I wanted to get people things they actually liked, and wanted, not things they needed. Ok, so I wasn’t like mum. I buy frivolous things. I’ll buy my friends dresses or shoes even if they already have a million of these things, or movie tickets, or other experiences – anything from sky diving, to massages to meals or play passes. I’ll buy them jelwellery and chocolates and perfume. I’ll buy them hair dryers or curlers, or straighteners or unicorn related items if they like unicorns for example. Even unicorn poop!! Haha. Yes, you can buy that now! Lol What I had not recognized until recently was that these are all things I enjoy buying, giving, and even receiving as presents. 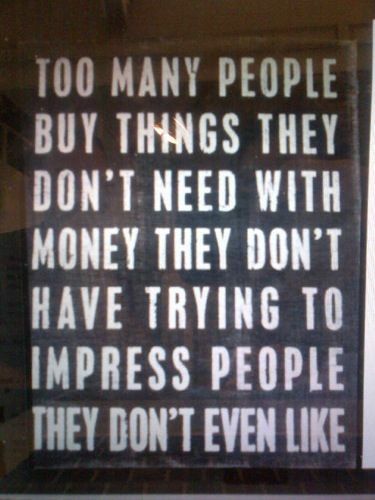 Buy something they want, or something meaningful, or both! Needless to say, nothing I had already bought her made it onto her suggested list. (Sorry, you probably wont like my presents chick! Just a heads up! Lol) And I only noticed my hypocrisy when I scoffed at the pyjamas and said to myself “I wont be buying those.” I said it, but I heard my mothers voice when I did. Although I want my friends to enjoy their gifts, and I do try and think of what they like and things they have mentioned along the way, for the first time I realised my mother buys people things she values, and I do just the same thing! Not needs I value, but wants I value. So my best tip for you is to really think about your friend and what brings her joy. The things that she would want regardless of if you would want the same things! Don’t make my mistakes and buy people things that you like. (You may not even notice that you do this! I didn't!) Buy them things that they like. How crazy simple is that?! Maybe you think it is a waste of money, but is your friends happiness not worth it? Might be an idea to follow? Newer PostWhen you don’t know, or don’t really understand why a friendship ended. Older PostBest friends in adulthood…. Reality or Fantasy?